Playing goalkeeper is hard. Your reflexes have to be pinpoint-sharp. Quite often, some of the most skilled and athletic players on teams are actually the keepers themselves. You would not know that from watching two of Saturday’s most howler-ific highlights. It was the opening goal of LAFC’s 5-0 victory, so even if Vega had played it well, at least it didn’t outright cost the Quakes the game. 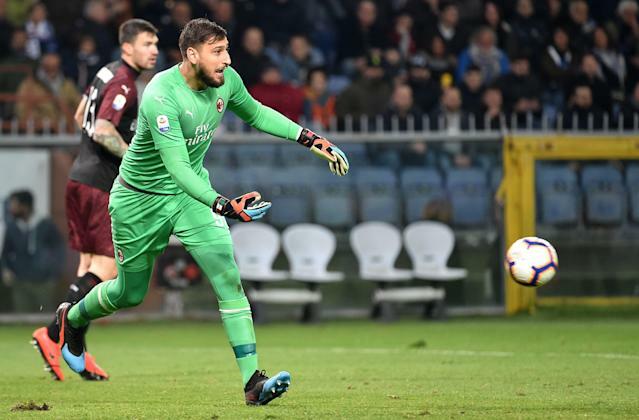 The same can’t be said for AC Milan’s Gianluigi Donnarumma, the 20-year-old assumptive heir to Gianluigi Buffon as Italy’s No. 1 goalkeeper. The goal came inside of a minute. A Sampdoria victory – 1-0 at that – came 90 minutes later. Milan is clinging to the fourth and final Champions League spot in Serie A, and it can’t afford mistakes like Donnarumma made. Vega and Donnarumma may have never met, but they can toast to each other’s woes on this day.